Our Tuesday night Folk-along Jam has a new venue in Ottawa’s Little Italy neighbourhood. The Vimy Brewing Company (http://www NULL.vimybrewing NULL.ca/) provides a modern, comfortable space for our music-making. 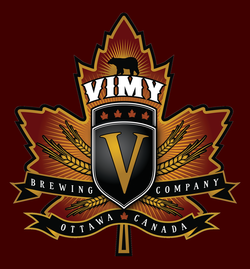 Light snacks are available, as well as Vimy’s own craft beers brewed on the premises. The location is 145 Loretta Avenue North, a block west of Preston and just north of Gladstone. Street parking is available on Loretta. The Folk-along Jam is an acoustic open jam, where musicians sit in a circle and take turns leading songs of their choice. It runs from 7:00 to 9:30 pm on Tuesdays. There’s no cover charge.